Well… that was a very unexpected find. I thought that I was buying Mullard Long Plates with a pile of other junk I found in a lot on ebay, but when I received the tube I saw that it had capital R instead of B in the date code. What?! Mitcham actually produced 12au7???? I did research and sure thing. They did it for a very short time. 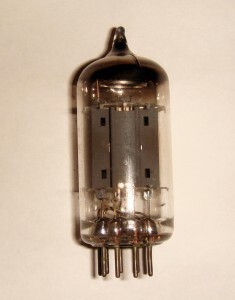 The structure of this tube is very similar to long plates from Blackburn, but this one had O getter with a single support rod.